Anthony Perez, a local second grade teacher and GCU alumnus, has won an impressive engineering scholarship. Grand Canyon University alumnus Anthony Perez has a busy summer ahead of him. and is awaiting word on two other scholarships. 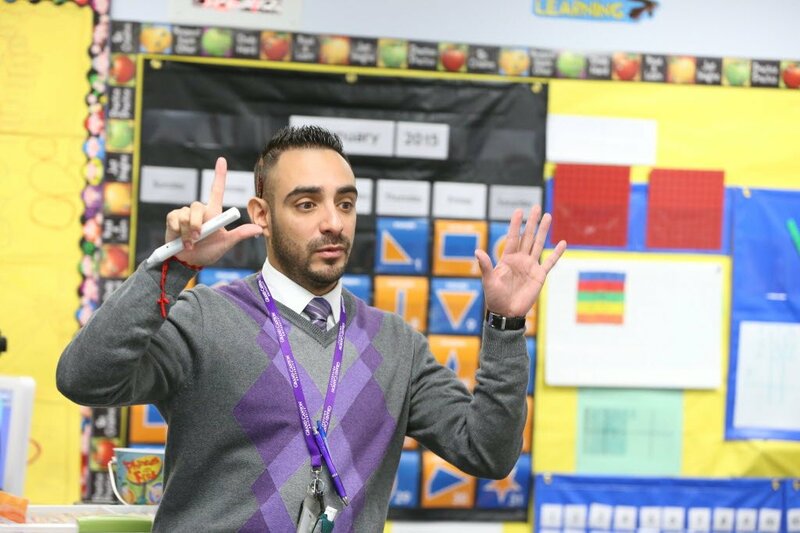 Perez, 33, teaches second grade at Sunset Elementary School in the Cartwright School District. He was selected by the Museum of Science in Boston to attend its Engineering is Elementary curriculum program, developed by the museum’s National Center for Technological Literacy. Teachers from 24 states will be participating in the two-day program. The $200,000 scholarship program is designed to help teachers integrate engineering in their classrooms. It includes travel expenses, room and board and materials that Perez can use in his classroom next school year. “We launched the Engineering is Elementary program in 2003 with the express goal of supporting high-quality engineering education for all students — not just a chosen few — and starting at an early age,” said Christine Cunningham, Museum of Science vice president. Perez plans to attend a session in July but that could change if he is picked for one or both of the other teacher-training scholarships. One is a social studies program in Colonial Williamsburg, the restored 18th century village in Virginia. The other would be joining a research project with working scientists that could take him to Costa Rica, Italy or Peru. Those scholarships should be awarded in April, he said. Perez earned a graduate degree from GCU in 2011 and took part in the Rodel Foundation of Arizona’s Exemplary Teacher program. He was instrumental in helping the College of Education establish a partnership with the Rodel Foundation to develop and mentor teachers. He is now in his fifth year of teaching in the primary grades. This school year ends May 20, and Perez said he will be challenged over the final six weeks to ensure that his students get all their lessons done by then. Contact Peter Corbett at (602) 639-7588 or peter.corbett@gcu.edu. Congratulations Anthony!!!!! We are so proud of you! Congratulations to this fine young man. Anthony is a wonderful ambassador for GCU and possesses all of the great qualities of an outstanding teacher.